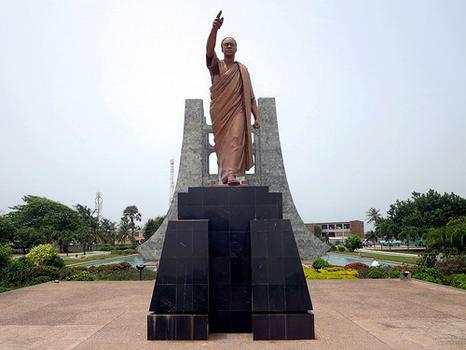 The Kwame Nkrumah Memorial Park was created to honor Kwame Nkrumah, one of the founding fathers and the first president of Ghana. 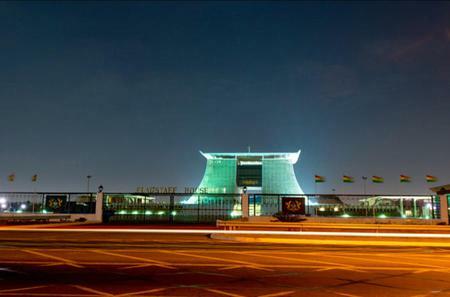 The Kwame Nkrumah Memorial Park was created to honor Kwame Nkrumah, one of the founding fathers and the first president of Ghana. 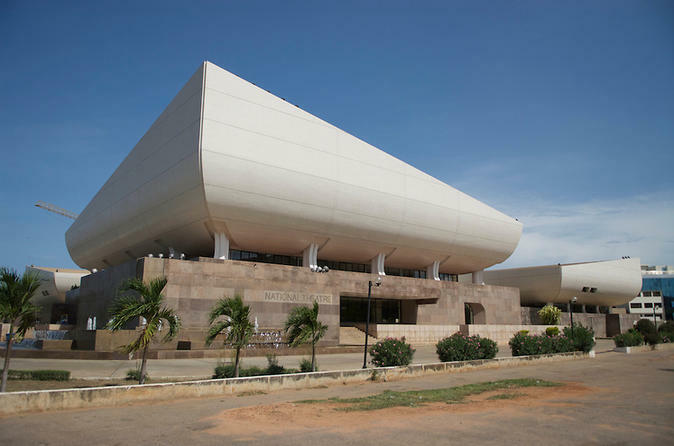 Built on the site where Nkrumah declared independence from Britain in 1957, the museum showcases events of Nkrumah’s life and some of his personal belongings, letters and furniture. The highlight of the park is the marble mausoleum. In front of it is a bronze statue of Nkrumah on a pedestal, with his right hand pointing forward symbolically. On the grounds is a pool with statues of people from various Ghanaian tribes, and eternal fountains which symbolize the undying spirit of Nkrumah. You can also see the headless statue of Nkrumah which once stood outside the first parliament building, but was vandalized.